The Future Land Use Element (FLUE) serves as a guide for land development in an economically, environmentally and socially acceptable manner. 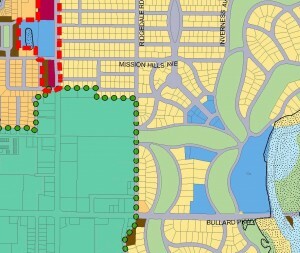 It contains a planned program to direct all development within Temple Terrace. It defines future land uses and their locations, recognizes development trends and maintains consistency throughout the comprehensive plan to improve the quality of life for the community. This Element also describes the land uses that provide the basis for planning future City services and facilities.